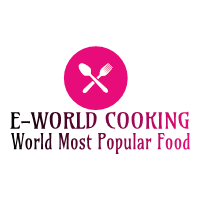 Aloo Tikki Burger Recipe ~ E-World Cooking-The World Most Popular Food. Aloo tikki could be a snack originating from the Indian subcontinent in North Indian, Pakistani and Bangladeshi preparation, Aloo tikki is created out of poached potatoes, onions and varied curry spices it's served hot and heat along a side of saunth, tamarind and coriander-mint sauce, and typically Dahi (yogurt) or chickpeas or Burger Bun . Aloo tikki is a feeder various, associated an Indian equivalent of the hash brown. Tomato ketchup-1 tbsp. Black pepper powder-1/4 tsp. Red chili sauce-1 tsp. Eggless mayonnaise-3 tsp. Cheese slices as you need Butter -1 tsp. Capsicum chopped-1/2 Frozen peas-2 tbsp. All-purpose flour-2 tbsp. Corn flour-2 tbsp. Dry mango powder-1/3 tsp. Chat masala powder-1/3 tsp. Garam masala powder-1/2 tsp. Red chili powder-1/3 tsp. Black pepper powder-1/4 tsp. Salt to taste. Prep. time-20 Min. Cook time-20 Min. For Aloo tikki first mash the potatoes, add frozen/boiled peas and mash it. Now one after another add all the vegetables, add pepper powder, add salt, add all spices, add 2 tbsp. bread crumbs, mix it well. The mixture is ready to make tikki. Put maida and corn flour in a bowl. Add a little salt and mix it. Add water and make a semi-thick batter. Take a generous amount of mixture and roll it. Flatten it and give it tikki shape. Dip the aloo tikki into the batter then coat it with breadcrumbs. Dip the aloo tikki again in the batter and coat it with breadcrumbs again. Repeat the process to make the remaining tikkis. Tikki is ready to fry, you may keep it in the freezer for 15 minutes. Turn on the flame, heat cooking oil in a frying pan. Let it heat on medium-high flame. Now put the aloo tikki in hot oil carefully. Fry it on medium-high flame. Fry it till it turns golden brown. Keep flipping in-between. Take it out and keep it aside. Repeat the process to fry remaining tikkis. Cut the buns. Turn on the flame and heat a frying pan, add butter then toast the burger buns for 5 minutes. Turn off the flame and take it out. 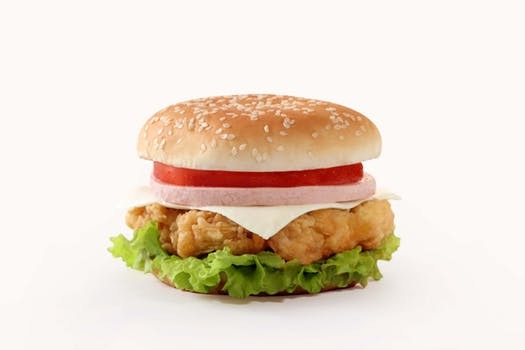 Apply the prepared sauce first(mix eggless mayonnaise and red chili sauce).put lettuce on it then put aloo tikki on it, place cheese slice on tikki.put onion and tomato slices. Add tomato ketchup as per your taste. Place the other slice of buns on top. The burger is ready. You may use the skewer to assemble.aloo tikki burger is ready to serve. It’s one of my favorite snacks. You can try it at your home. To get the latest update please subscribe and click on the bell icon, to know more click here.